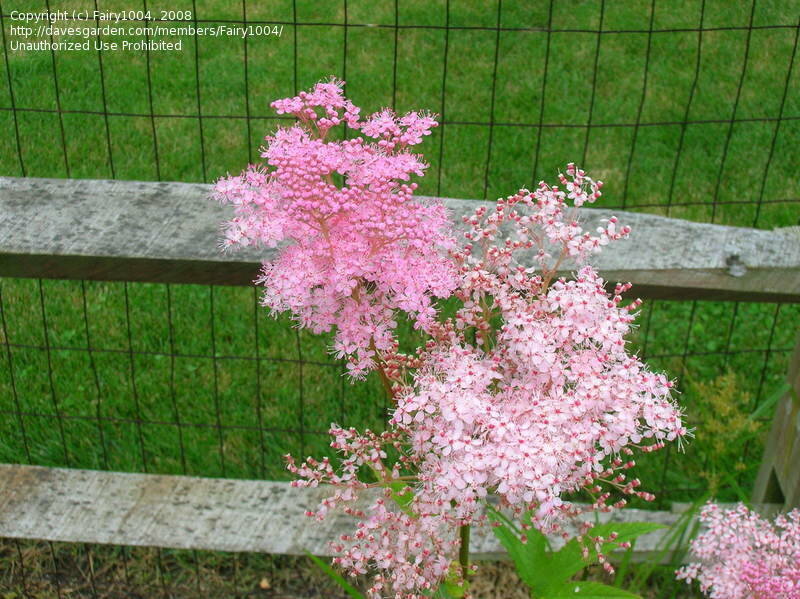 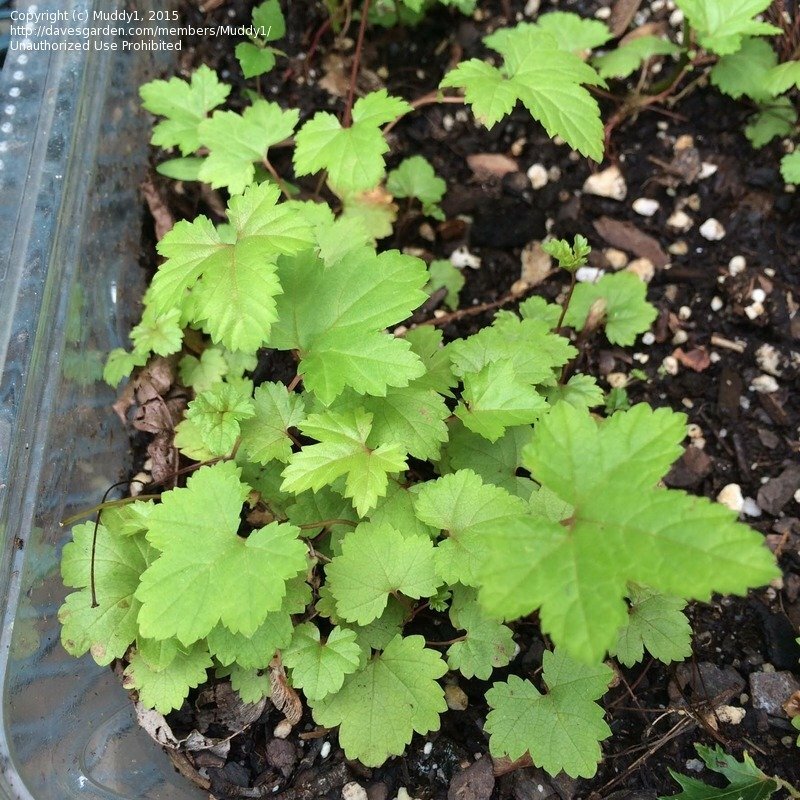 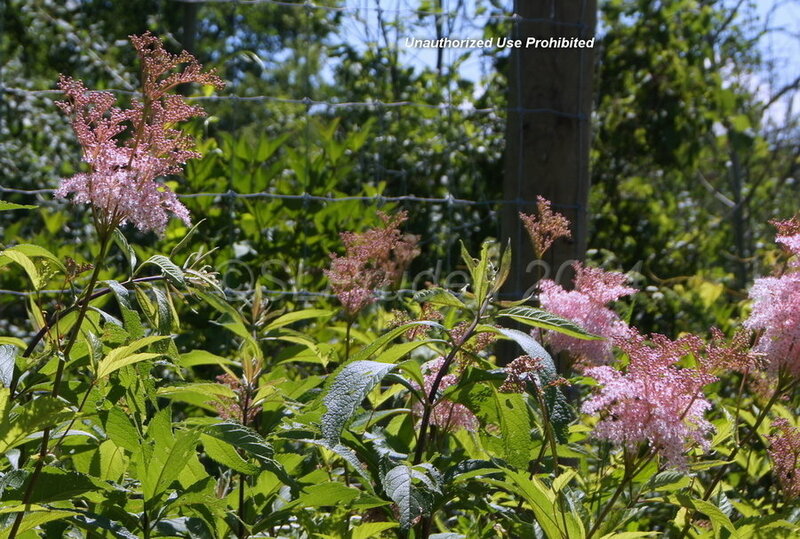 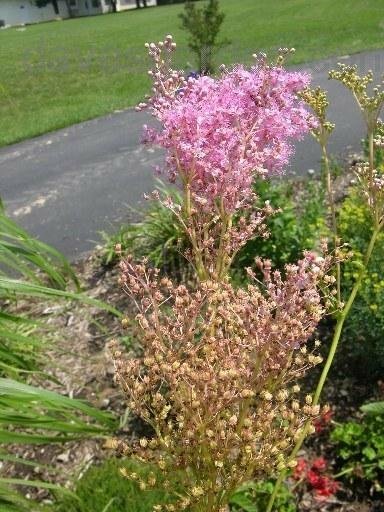 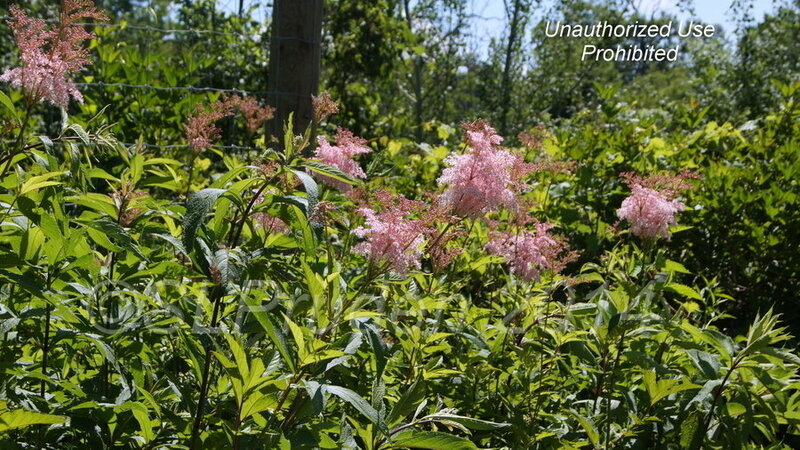 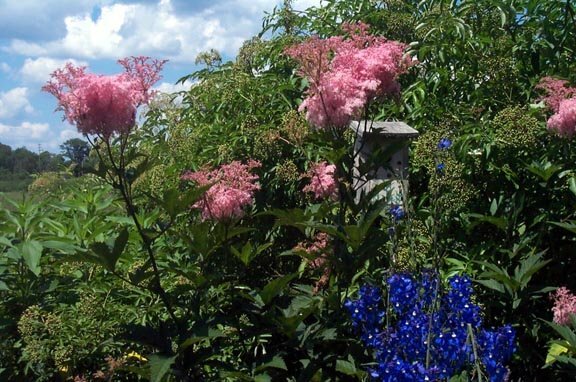 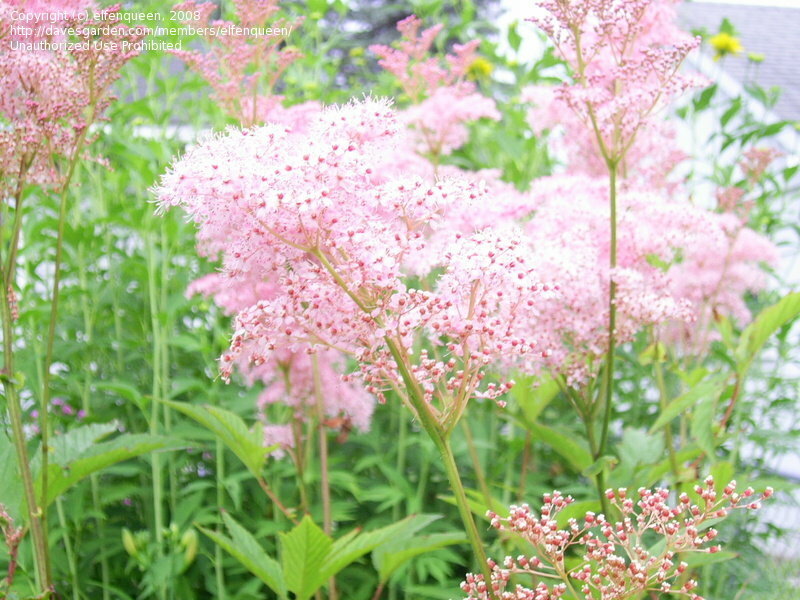 July 5, 2003 - Zone 5/ Southern Tier New York State garden. 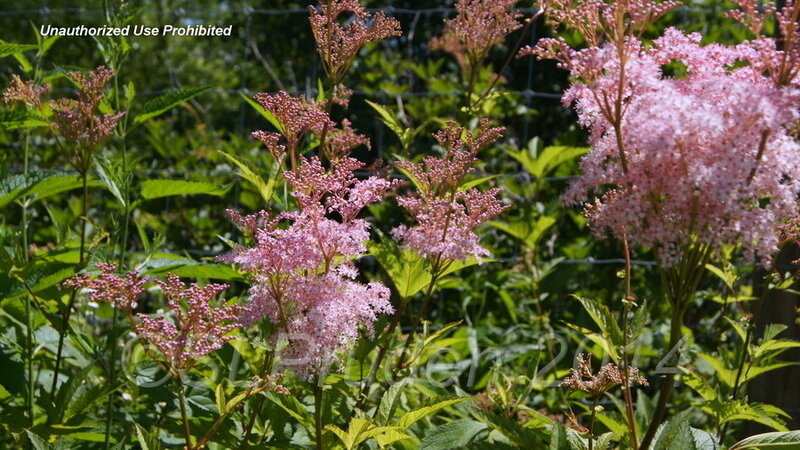 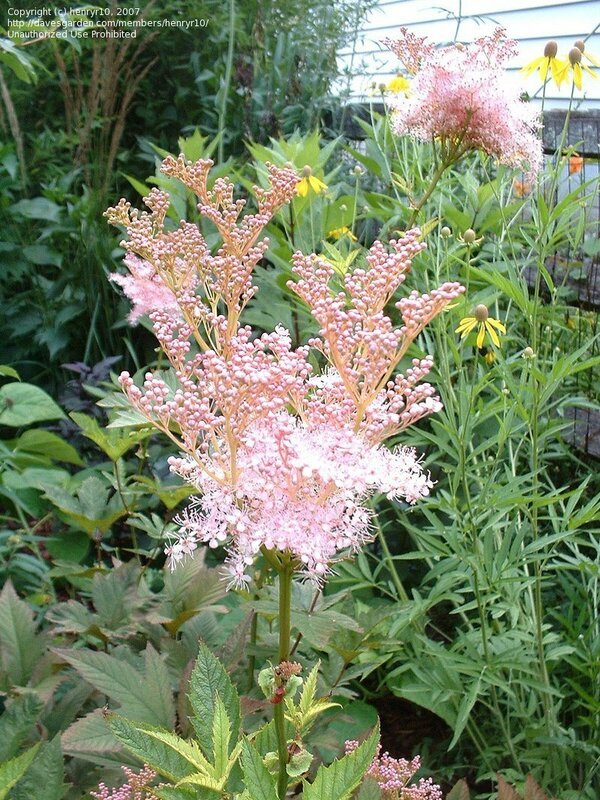 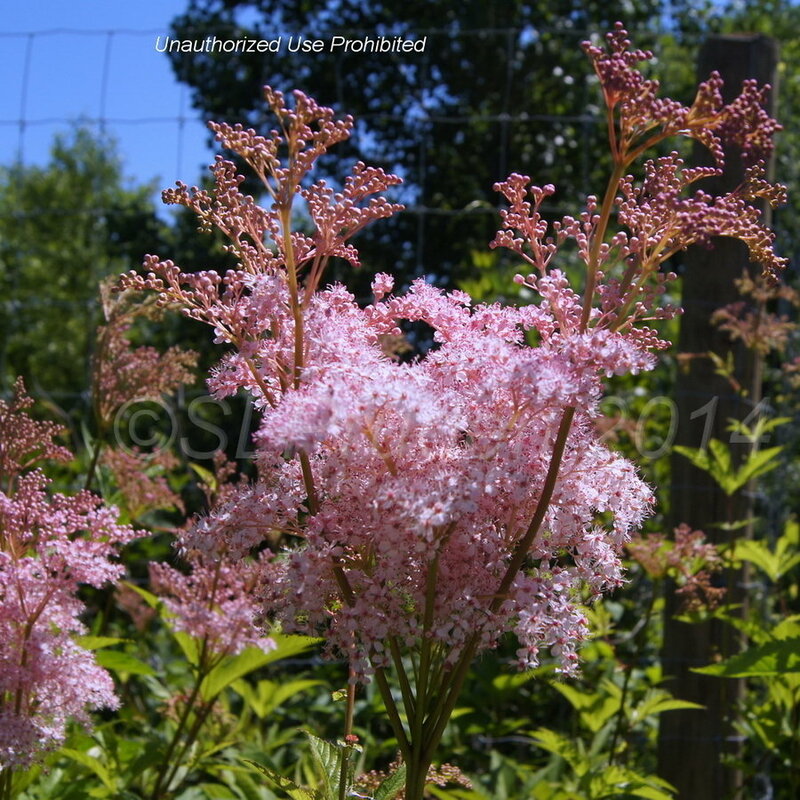 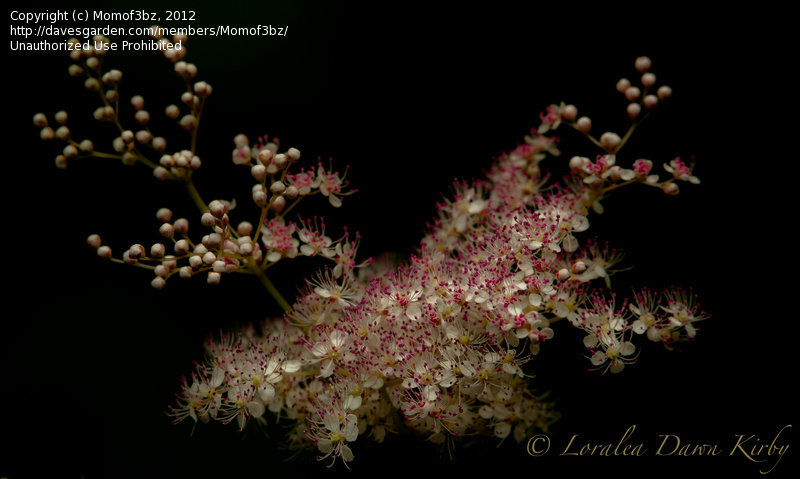 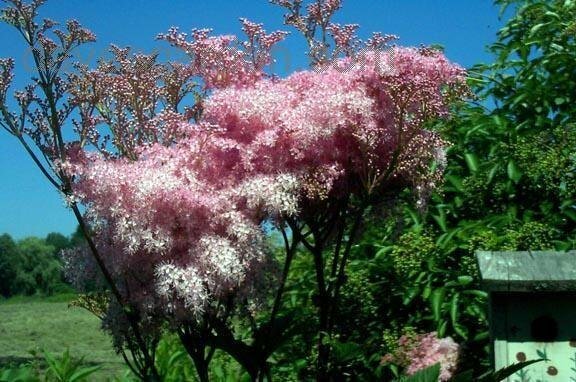 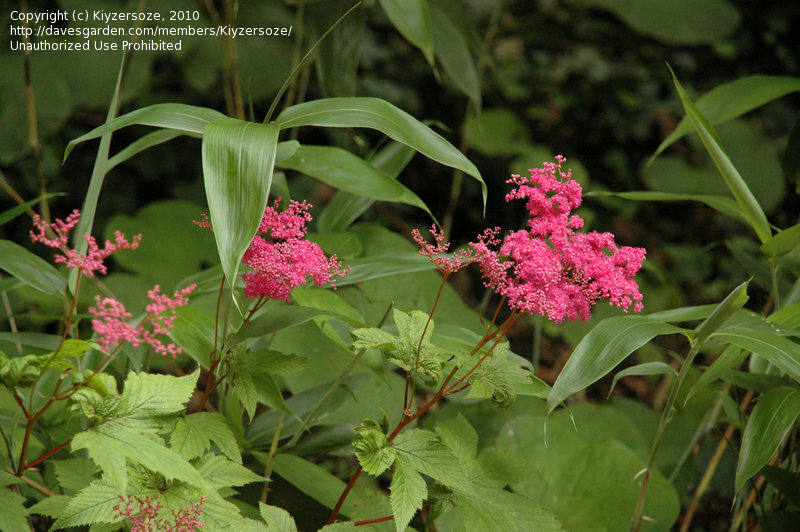 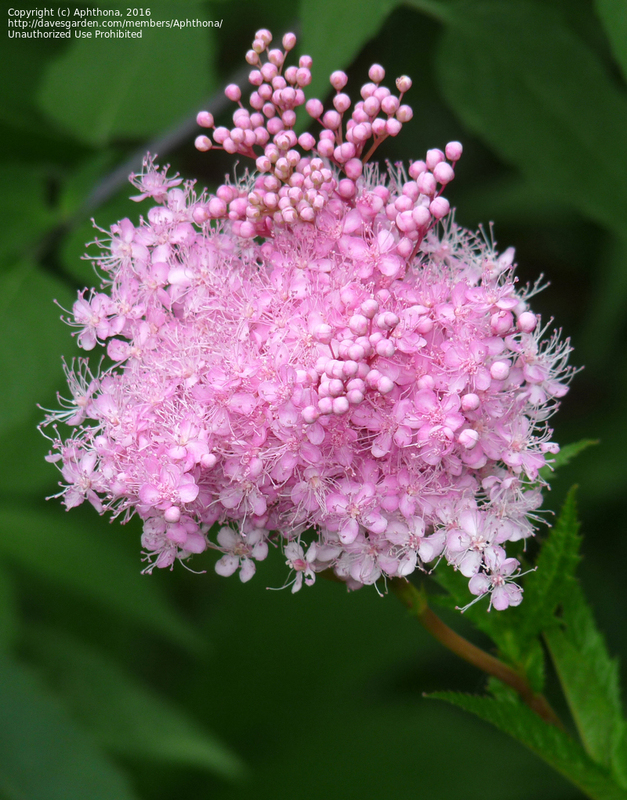 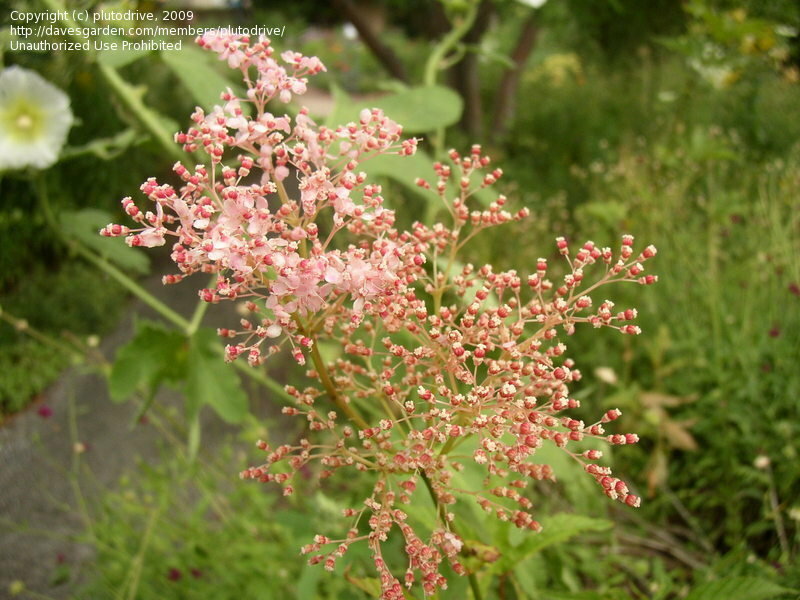 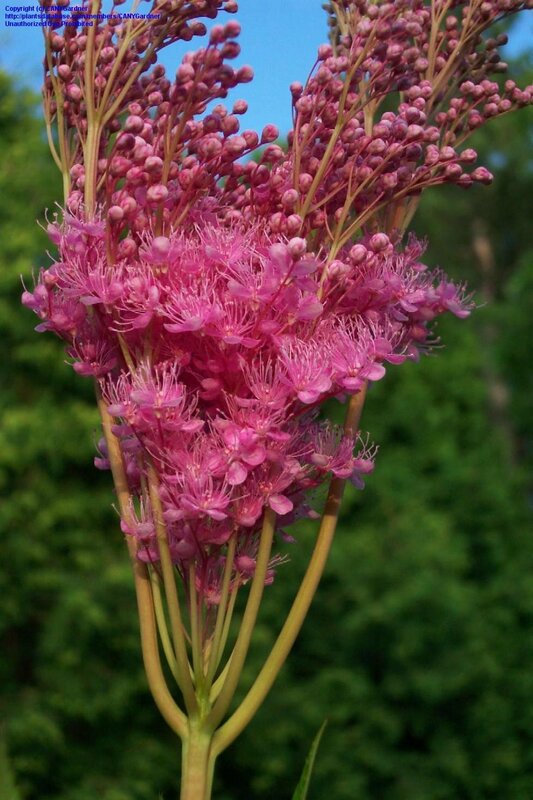 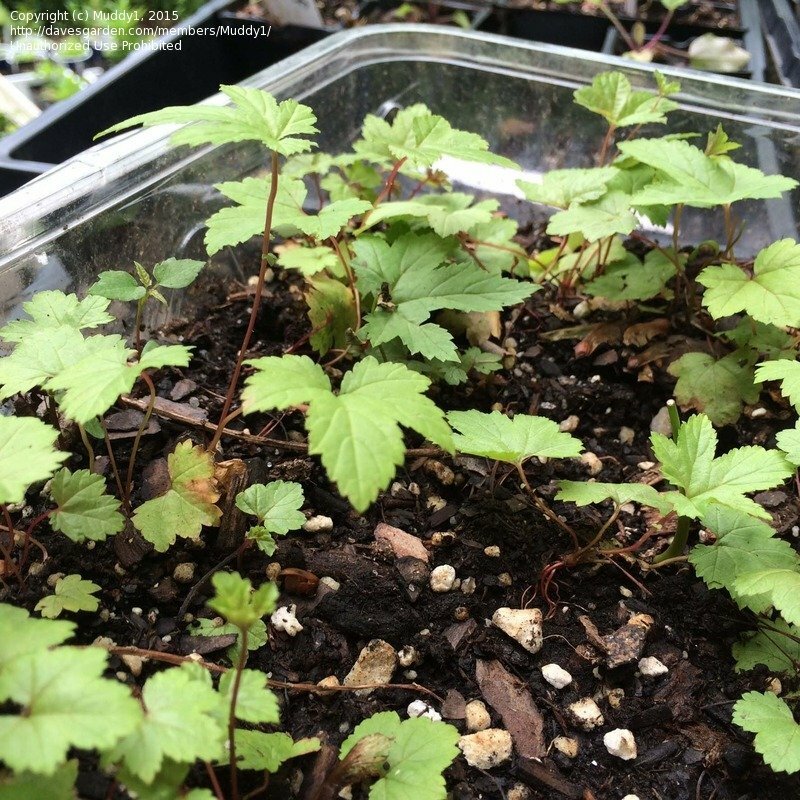 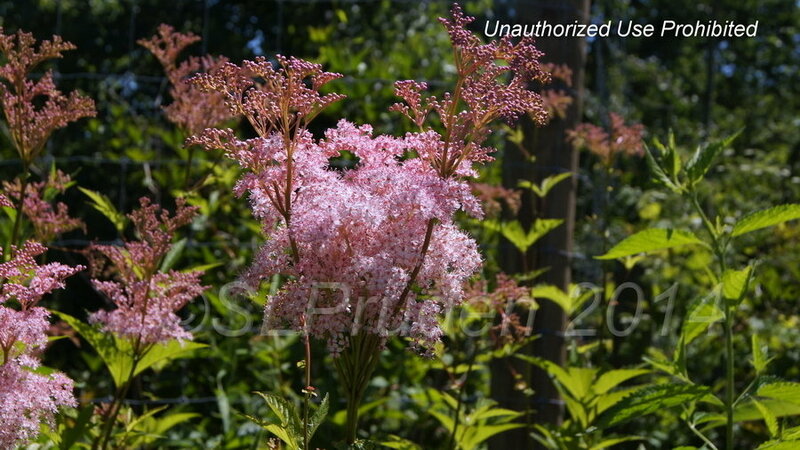 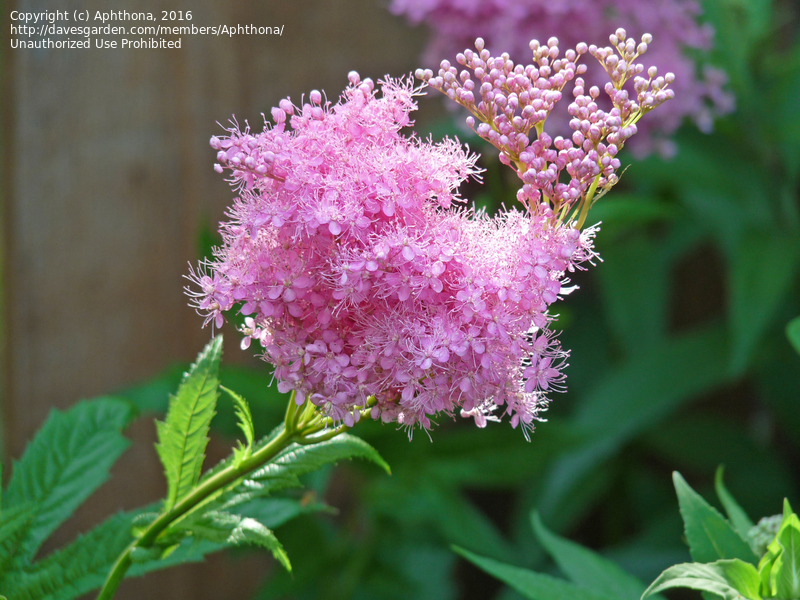 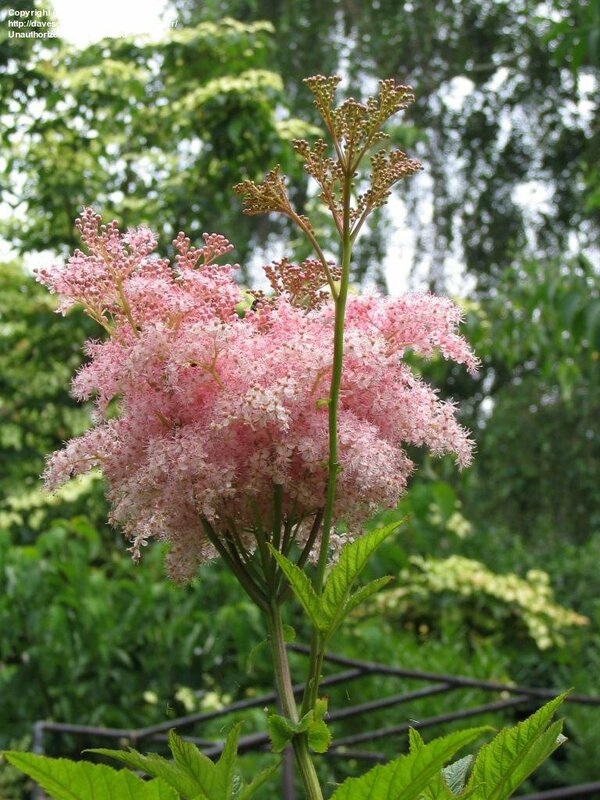 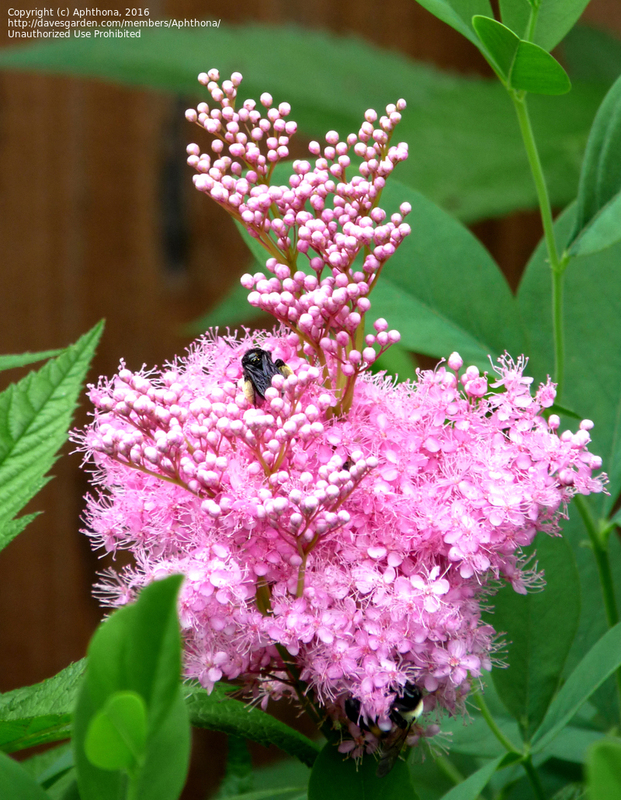 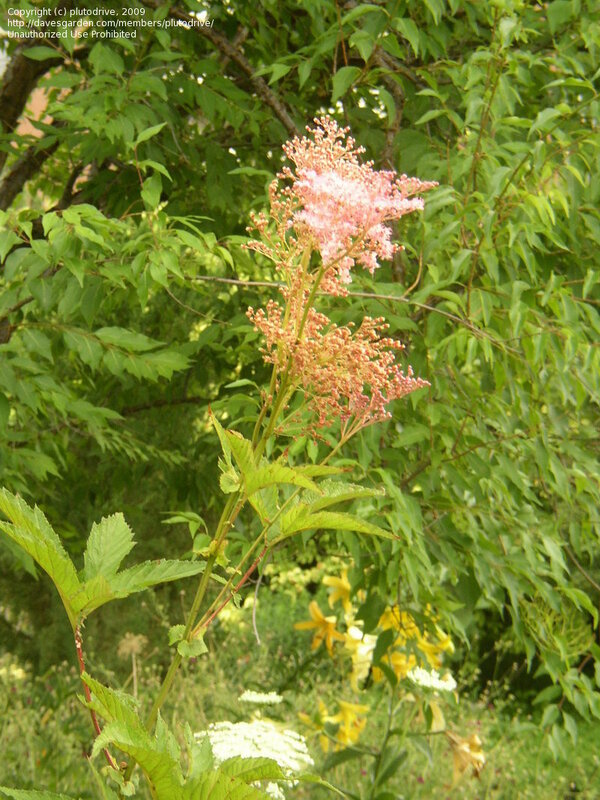 Filipendula rubra came uninvited with a peony translant - what a wonderful surprise! 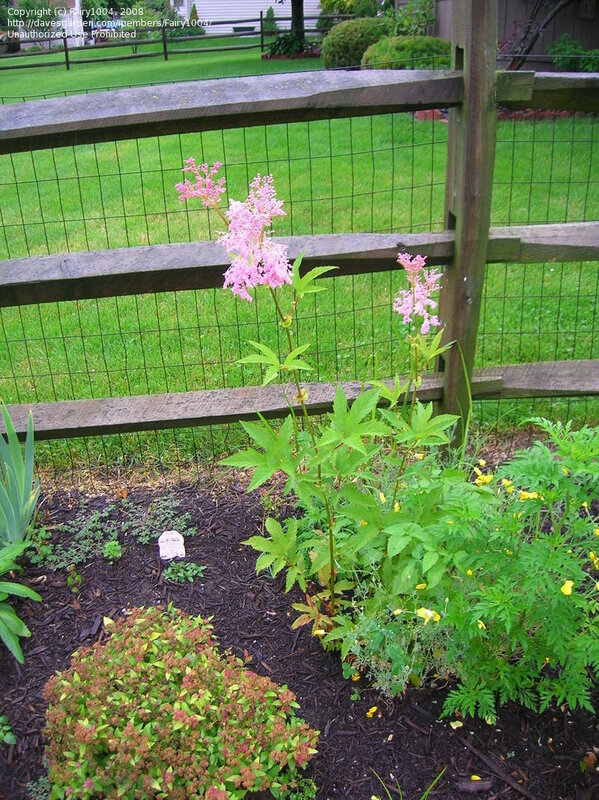 Finally opened after a rain. 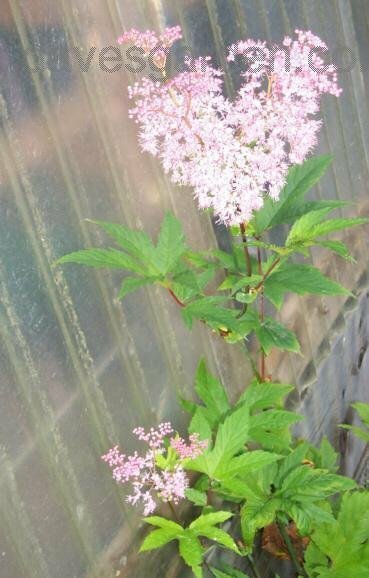 It has been very dry and I worried about this flower, it managed to reached 7 ft. 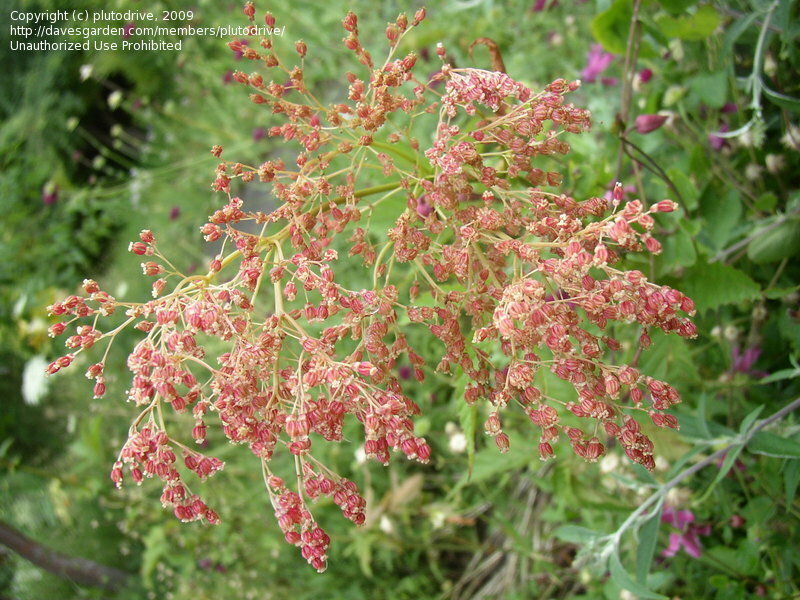 Flower buds and leaves in detail. 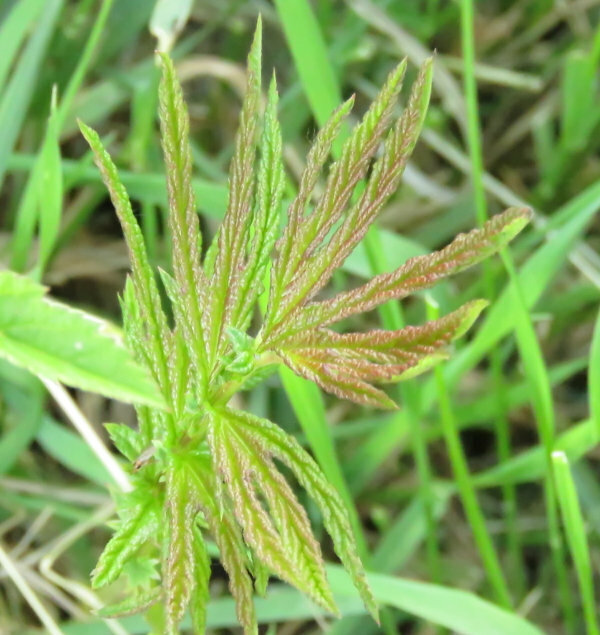 These leaves are blunt but others on the same plant were sharp edged. 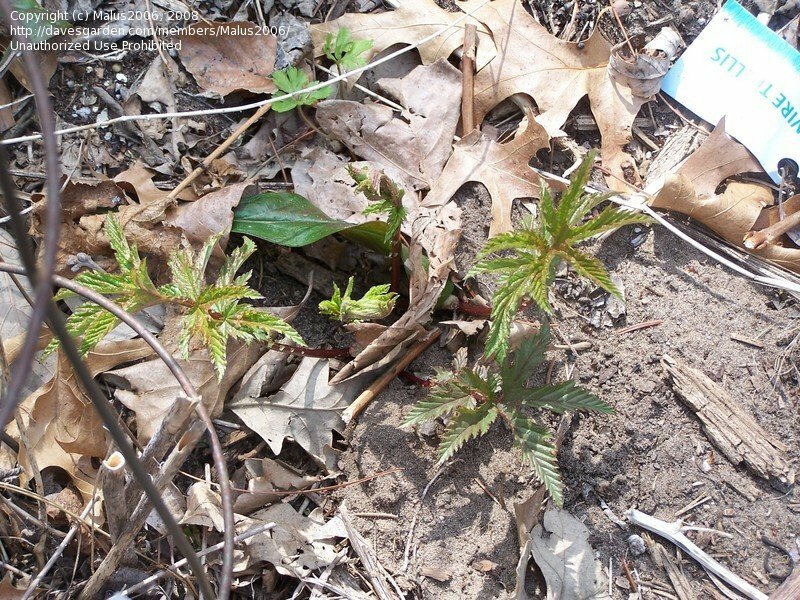 Already coming up in early spring - the first two leaves appear, then it rapidly grows up.